Earlier this week, we reported how US President Donald Trump and FLOTUS were invited for summer cocktails by the Belgian Prime Minister to a Brussels park during the NATO summit (see our related coverage). The event took place on Wednesday evening. As we said in the article, the Trump couple refused the alcohol offered. 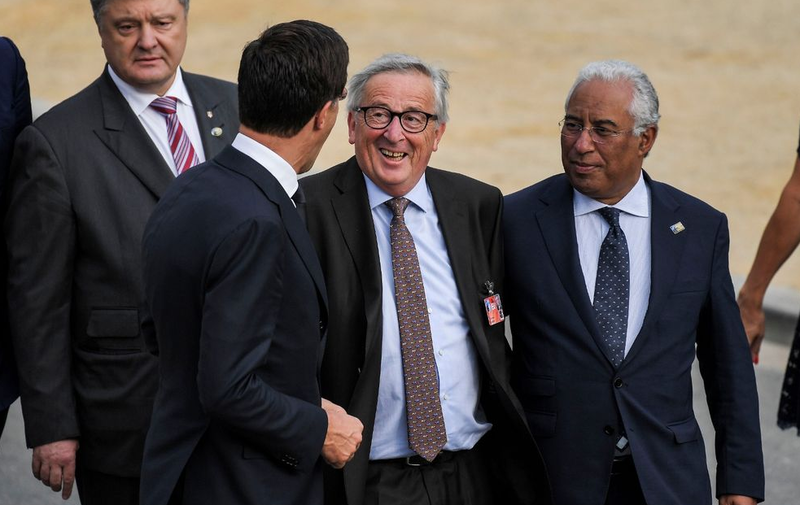 Others clearly didn’t as scandal has now erupted in Brussels after footage, clearly shot by an invitee at the summit, shows how EU Commission President Jean-Claude Juncker looked ‘drunk’ and having to be helped to walk by, amongst others, French president Emmanuel Macron, Portuguese Prime Minister António Costa and Dutch Prime Minister Mark Rutte to allow him to keep his footing and not fall over. Critics however pointed out that this is not the first time Mr Juncker’s ‘drunk’ antics have been shown. In fact, here he is in the same manner during a 2015 summit in Riga, Latvia. Riga is in Latvia, not Lithuania. Is the EU a member of NATO? Didn't think EU had an army, but maybe wrong.